What mom doesn&apos;t love to capture their children&apos;s special moments on video? Whether it&apos;s a soccer goal, swim meet or first time on a roller coaster, videos enable us to relive and cherish those special moments forever. But who really uses a video camera anymore? We take almost all of our videos with a smartphone, which take up a ton of space. I have been looking for a simple solution and I found it with RealPlayer Cloud. 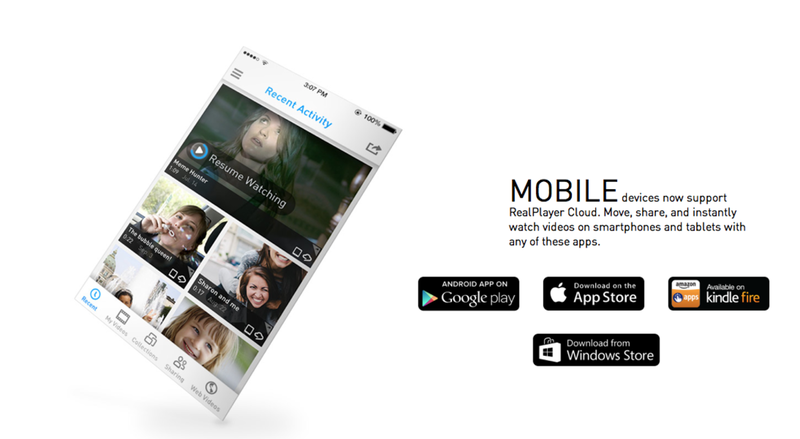 RealPlayer Cloud is a free app that’s designed specifically for videos. RealPlayer Cloud is an easy way to free up space on your smartphone and keep your cherished videos safe and secure. (if you lose your phone, you also lose those precious videos!) 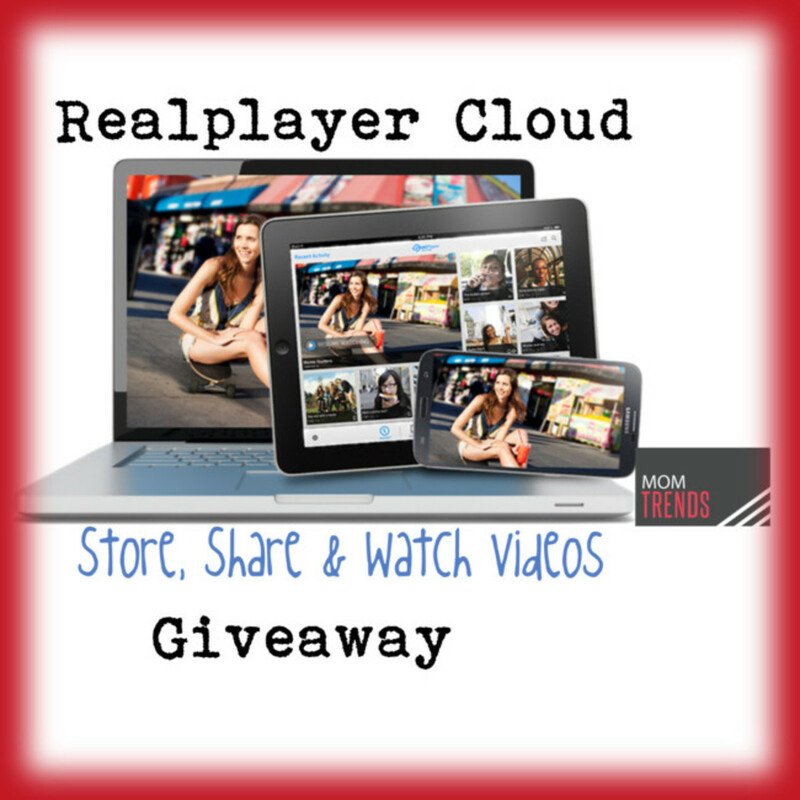 RealPlayer Cloud is an easy way to watch, share and even move your videos to another device. I love that we can keep all of our videos in one, safe place and we can even categorize them to keep extra organized. RealPlayer Cloud’s app is free, and every person gets 2GB of free storage space when they sign up. You even get free bonus space as you add devices to your account. RealPlayer Cloud provides Silver, Gold and Platinum subscription plans. RealPlayer Cloud allows you to shoot videos directly from within the app and add them to your cloud account; free up space on your phone or tablet by adding videos from your camera roll to your account; and, move videos on your computer to your account. You can watch your videos on any device thanks to RealPlayer Cloud’s proprietary SurePlayTM technology, videos are automatically converted for easy viewing on any screen, from smartphone to computer to tablet. The coolest feature? If you shoot a video of your daughter&apos;s swim success and want to share it with "Grammy" all you have to do is log-in to your RealPLayer Cloud account from her computer and BAM! you get to watch the video instantly. Want to modify the size of the video? Not a problem once the RealPlayer Cloud channel has been added to your Roku. You can watch your videos on the big screen (directly from the Roku). Private, one-on-one sharing is essential when sending the most precious videos of your family and with RealPlayer Cloud you not only get the privacy and convenience you&apos;re looking for but there&apos;s not length limit on sharing a video taken from your own device. Recipients can easily watch the video on any device without first having to download the RealPlayer Cloud.app or any other software. RealPlayer Cloud&apos;s app is free, easy to set up and use, and makes video watching and sharing a breeze. Let RealPlayer Cloud. store, watch and share your most cherished moments. One very lucky Momtrends&apos; reader will win a $200 Visa gift card to use toward your next video worthy family outing. The winner will also receive a ROKU 2 streaming Player as well as a Gold Subscription to RealPlayer Cloud (valued at $99). Full Disclosure: Winner must be 18 years or older and a US Resident. No purchase necessary. Winners will be notified via email with the specifics on how to claim their prize. Contest ends October 15, 2014 at Midnight EST. Winners will be picked by random.org. By entering this contest, you will automatically be signing up for the Momtrends newsletter. This is a sponsored post.